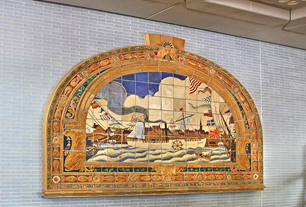 The Marine Grill Murals were created for the restaurant of the McAlpin Hotel at 34th Street and Broadway by artist Fred Dana Marsh in 1913, with maritime themes celebrating New York's important seaport. The subject matter ranges from Henry Hudson's ship to Fulton's steamship in NY Harbor. 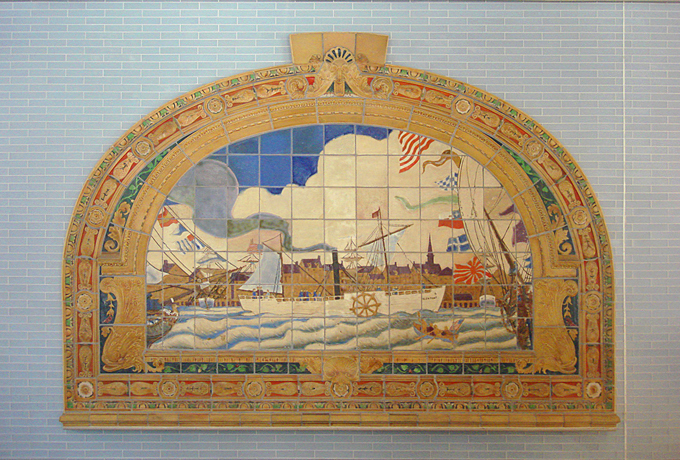 These terra cotta murals were so celebrated that the restaurant were later renamed "Marine Grill" - hence the title of the murals. In 1989, the McAlpin was being converted into a residential cooperative. NYC Landmarks Preservation Commission took possession of the dismantled terra cotta tiles and arranged for their storage. 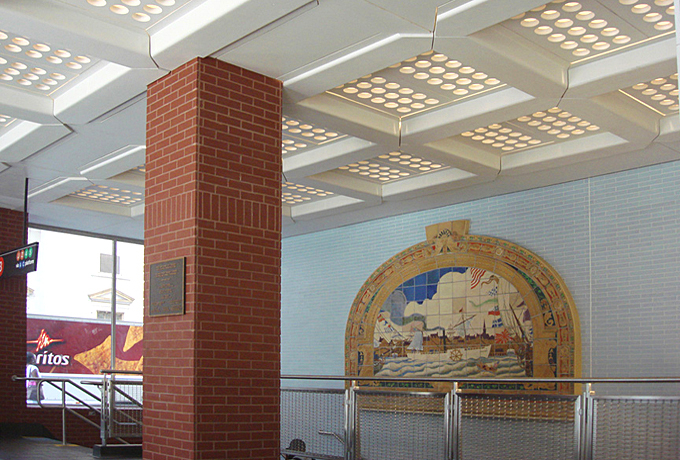 A decade later, Arts for Transit was asked by Landmarks if the murals could be incorporated into a New York City Transit subway station. 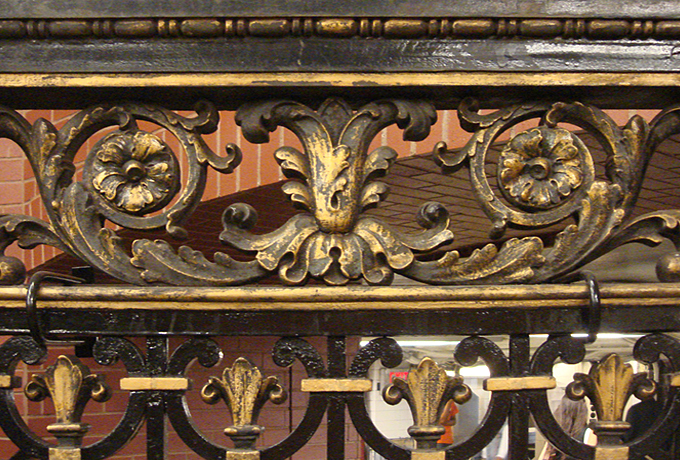 With the help of designers and preservationists, six of the murals and the Marine Grill's famed ironwork entrance gate were installed in the passageway of Fulton Street/Broadway-Nassau station in 2000. 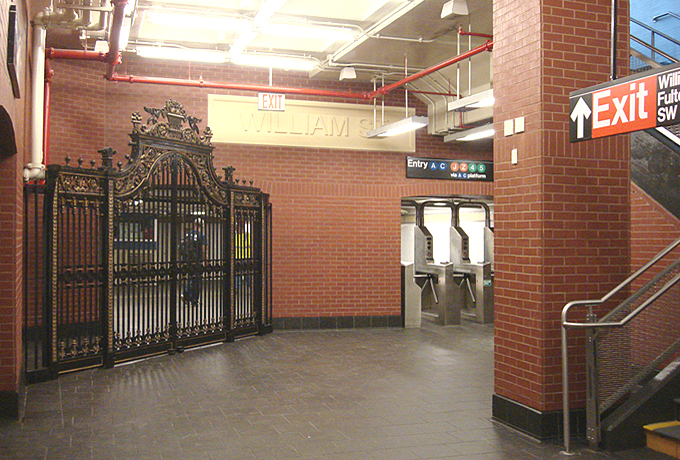 In 2009, due to the construction of the Fulton Center project, the murals and the iron gate had to be removed and stored until they could be re-located to the new William Street entrance, thereby keeping alive an important piece of the City's heritage and an excellent work of terra-cotta craftsmanship. 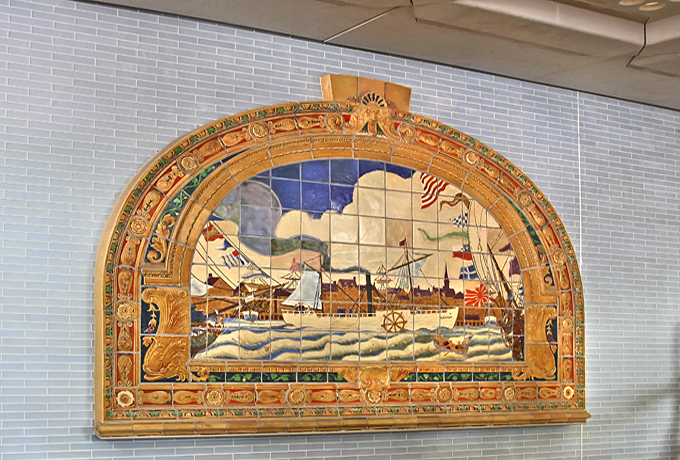 The murals are comparable to the subway system's historic medallions and plaques, many of which were also made by the Atlantic Terra Cotta Company. 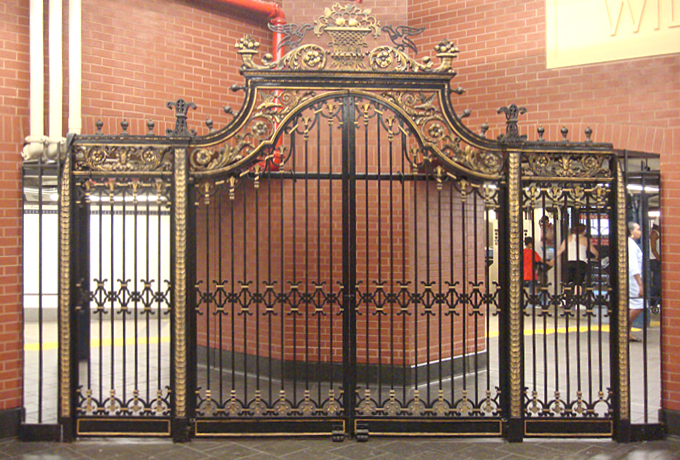 Collectively, they provide a rich and visually engaging environment in the transit system.